The Dream of Shahrazad undertakes the mammoth task – by a white South African man – of telling the story of the significant political events in Egypt, Turkey and Lebanon known as the Arab Spring. To tell the tale, Francois Venter uses the story of Shahrazad, the legendary Arabian queen and storyteller of the epic fairy tale collection One Thousand and One Nights. According to legend, her many days of storytelling enabled her to save hundreds of women’s lives in her murderous husband’s kingdom by distracting him with her tales. It’s a fitting metaphor, zoning in on the use of music and art in the Arab Spring as social outlets and tools of subversion. We meet a visual artist obsessed with the Arabian Nights stories, a young conductor who uses the music to Rimsky-Korsakov’s Scheherazade suite as a tool for political education, comics who amuse and conscientise their audiences, and the mothers of martyrs from the January 25 revolution who are turning their stories into performances. Venter demonstrates the relevance of the age-old tradition of storytelling in contemporary times, which are as dangerous as they are political. The film does this by moving between scenes from the classic fairy tales and interviews with his subjects. 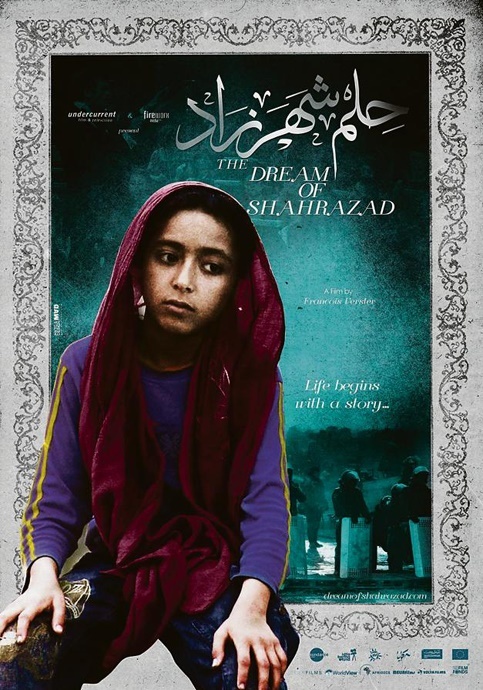 The Dream of Shahrazad comes across as a documentary that is sensitive to the maker’s own place of relative privilege, while also being cognisant of the danger and appeal of attempting to reduce the events of 2011 to one story. It is not by any means a perfect work, but Venter successfully weaves a deeply human story of freedom and how the people caught up in the events of the Arab Spring have managed to use art for themselves and others without glamourising the appalling and untenable circumstances that have necessitated it.